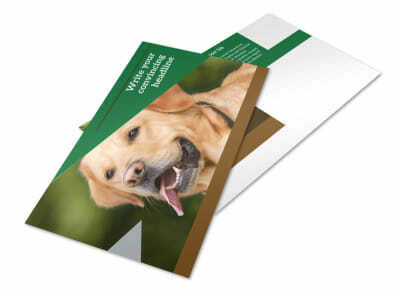 Reach out to pet lovers in your local neighborhood and beyond with postcards that give them something to bark about. 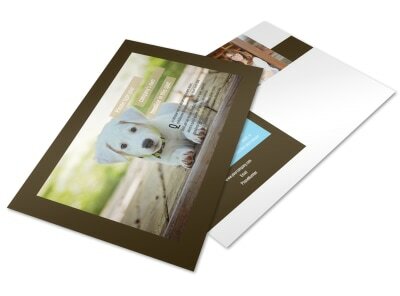 Our pets and animals postcard templates make creating custom postcards simple and fast, whether you’re sending appointment reminders to your pet grooming clients or promoting your dog walking services. 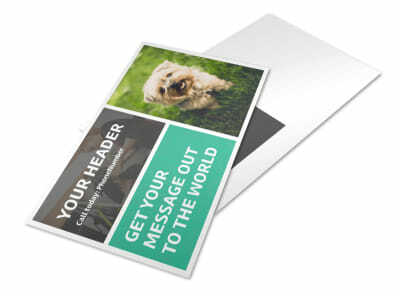 Upload photos and graphics to attraction attention for your message right out of the mailbox, and drive home what you’re offering in your choice of fonts and colors. 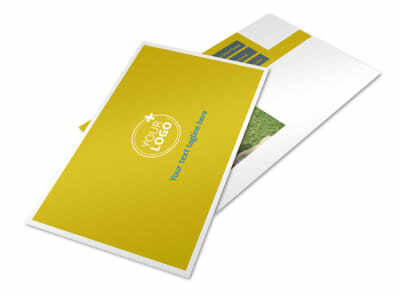 We offer state-of-the-art printing of your finished designs, or you can print them yourself for faster service. 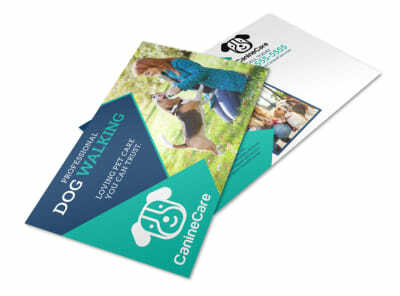 Give the dogs in your community a reason to love their neighborhood mail carrier by sending out custom-designed postcards promoting your top-notch dog walking service. 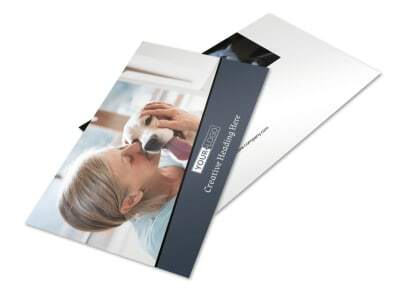 Puppies everywhere will rejoice when they hear the sound of little postal feet and the satisfying open and close of the mailbox door because of the promise of more time with their favorite leash-holder! 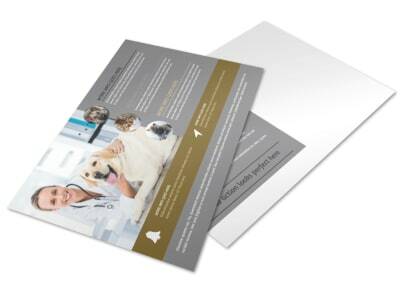 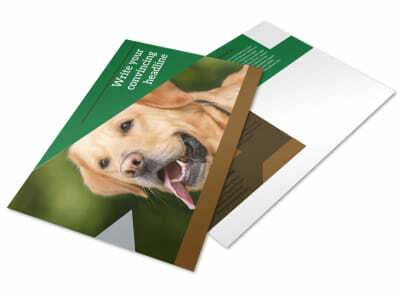 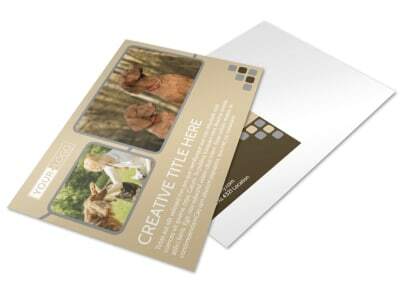 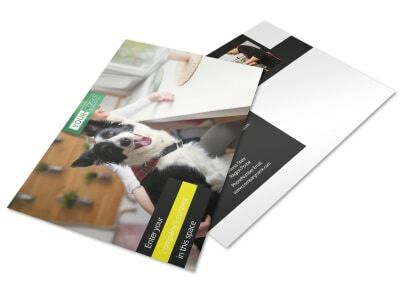 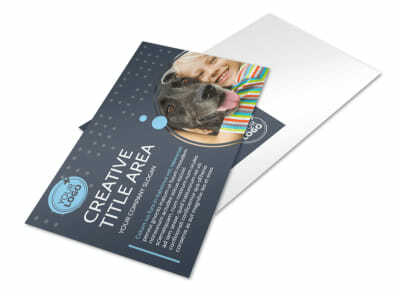 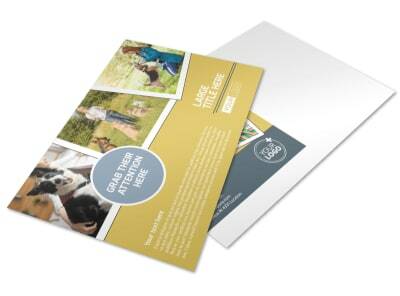 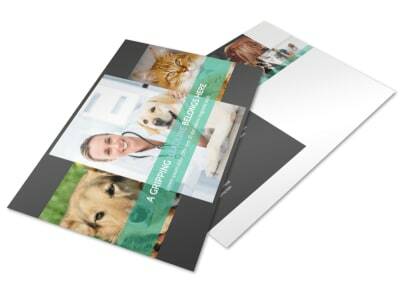 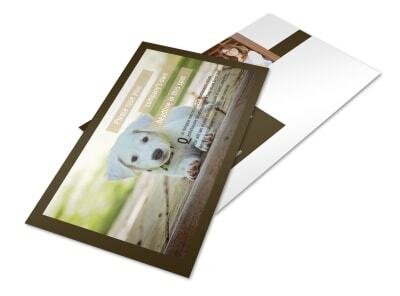 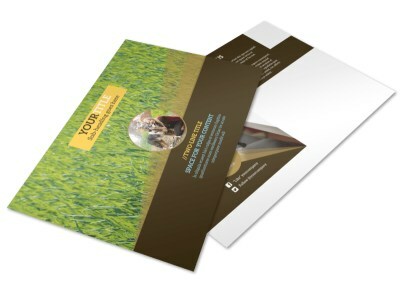 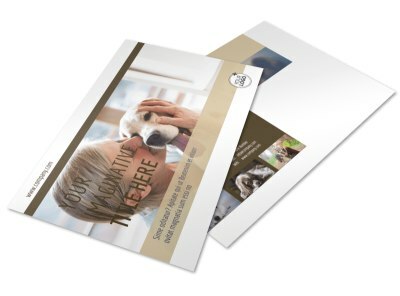 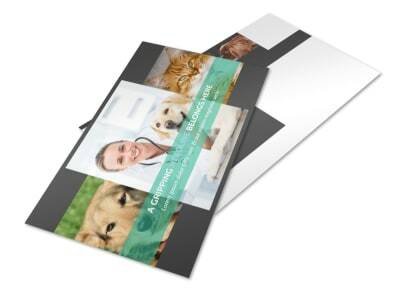 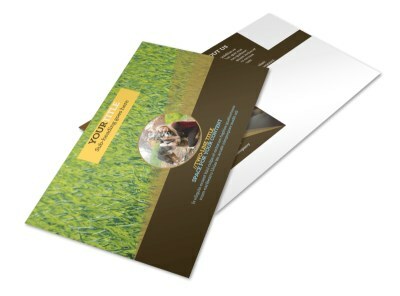 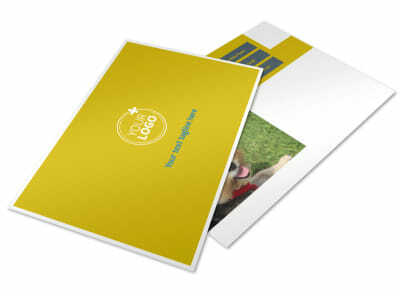 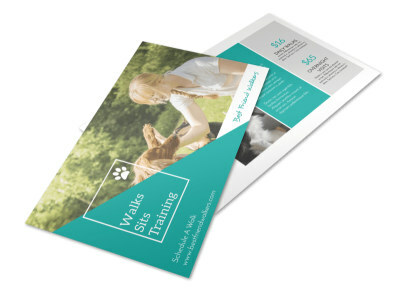 MyCreativeShop’s design team has drafted a full litter of customizable dog walking postcard templates. 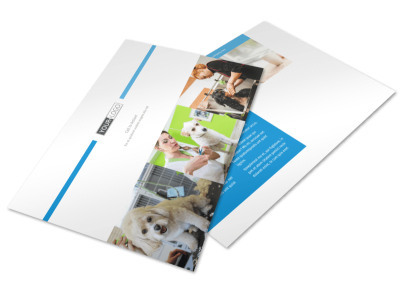 Choose the newest member of your marketing material family, then take a stroll through our online editor to turn it into a document full of canine credibility. 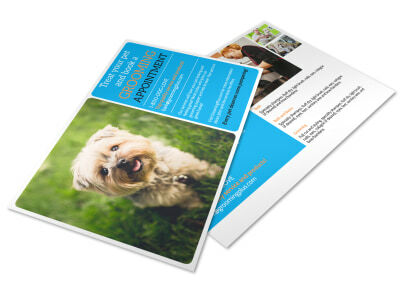 Print anywhere you like or let us make your own dog’s day by delivering a professional print job right to your front door! 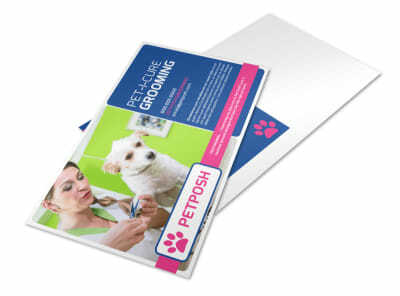 The pets in your community will be show-ready after a visit to your grooming salon. 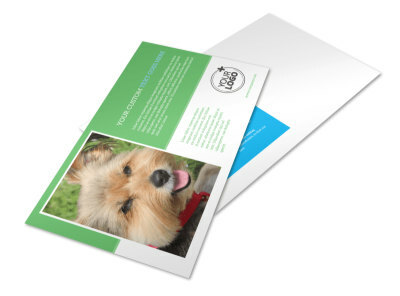 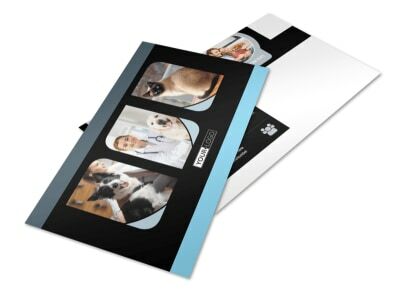 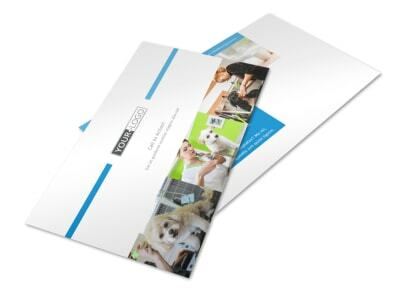 Get them in your appointment book by customizing the perfect pet grooming postcard. 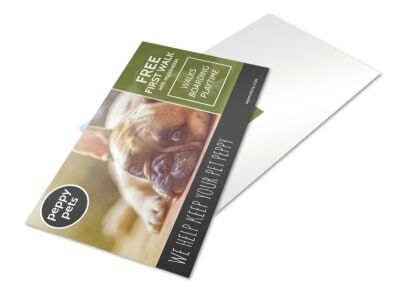 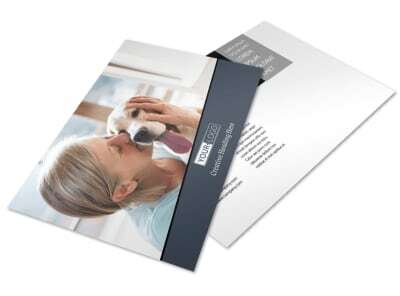 Send out your postcard to your current clients and your entire mailing list – leave a stack at the register of local pet stores you’re friendly with, too. 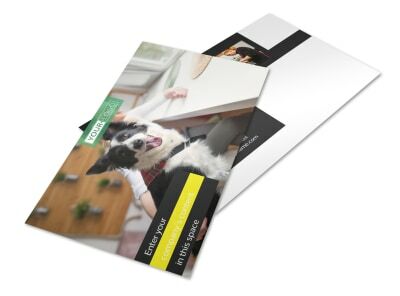 Use our easy-peasy lemon-squeezy online editor to upload one or more photos of happy pet clients, or select from our library of stock images. 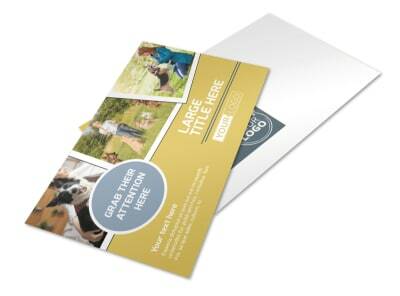 Promote an attractive deal on a grooming package that will make even the laziest dog or cat give it two (or four!) 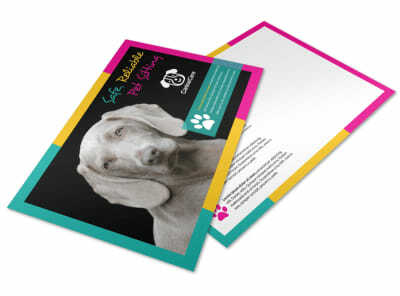 paws up! 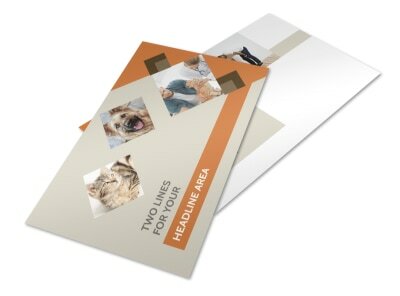 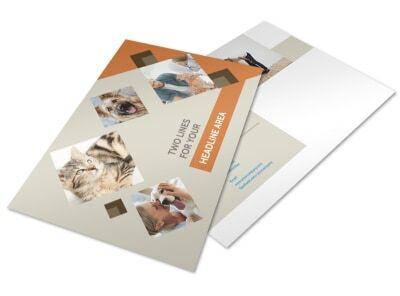 Expand your grooming salon’s canine clientele or just let your current top dogs know you miss them and hope to see them soon by sending out custom-designed postcards that promote your best-selling packages and special discounts. 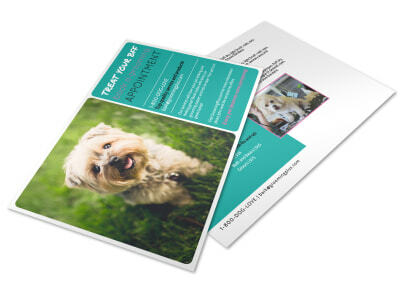 All pup parents enjoy having their BFFs look their best, so make sure they choose YOUR salon for their next beautification day. 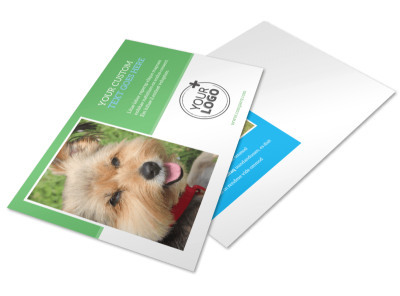 MyCreativeShop’s design team has put together a wide selection of dog grooming postcard templates that are sure to tip the scales in your favor. 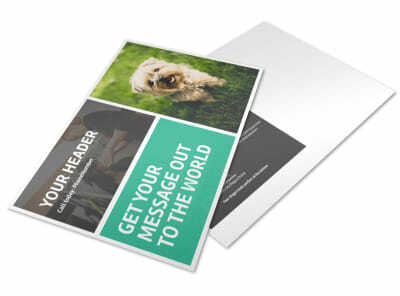 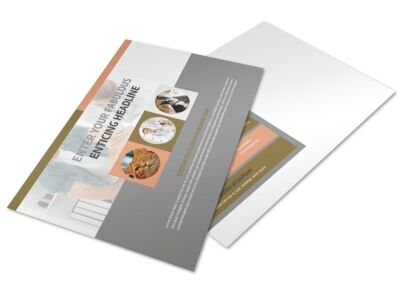 Utilize the tools in our online editor to customize every aspect of your postcard’s design elements. 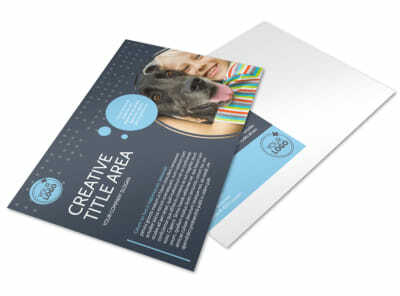 You can upload photos and graphics (including your logo), pull in your existing color scheme, mix up the layout and font, and much more. 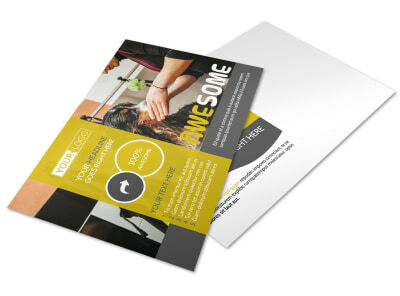 Love the finished product? 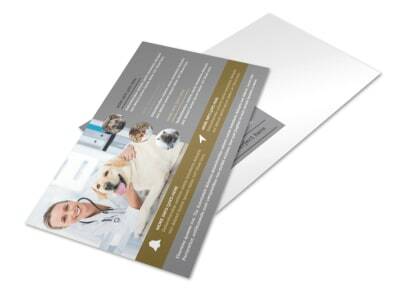 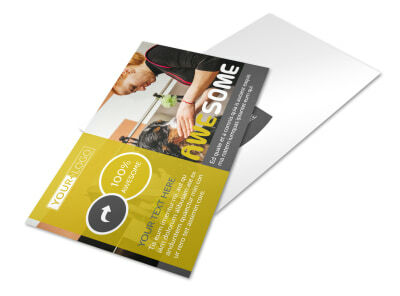 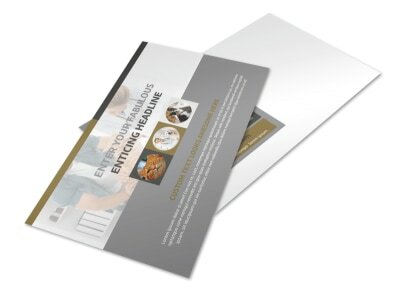 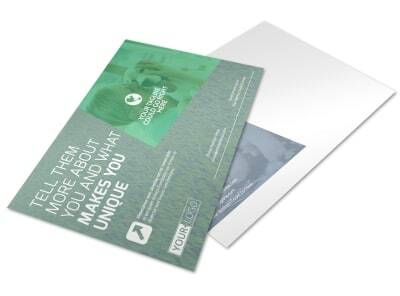 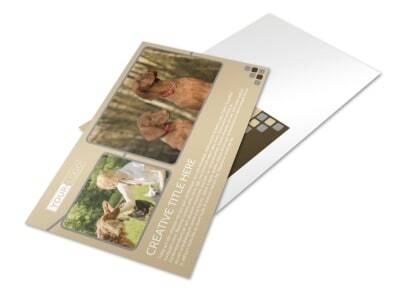 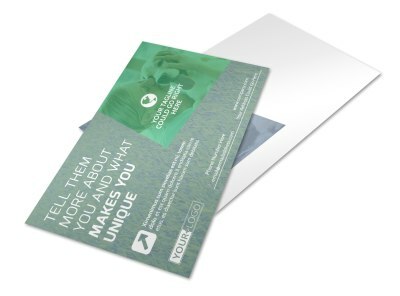 Print your postcards in-house, send them to your usual print shop, or let our print service handle it for you. 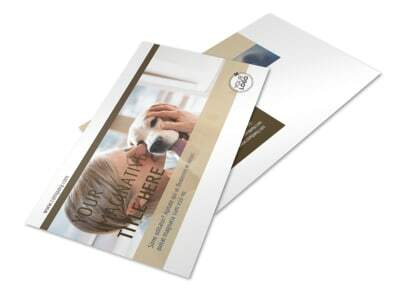 Drop them in the mail and you’ll be back to smelling eau de wet dog in no time!